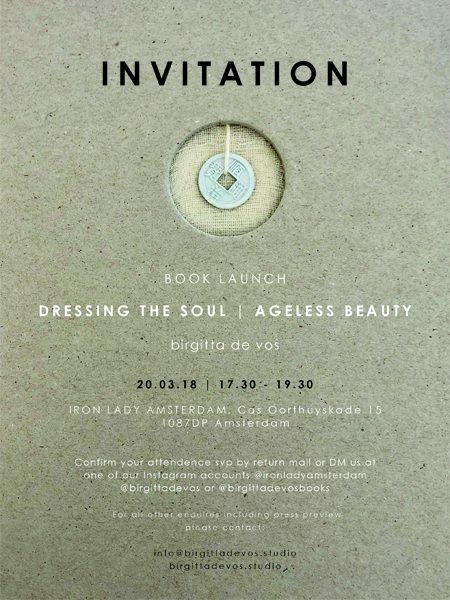 My second book DRESSING THE SOUL | AGELESS BEAUTY will be launched the 20th of March 2018. When night and day are equal and the light will return, when we celebrate the start of a new season my new book sees the light. 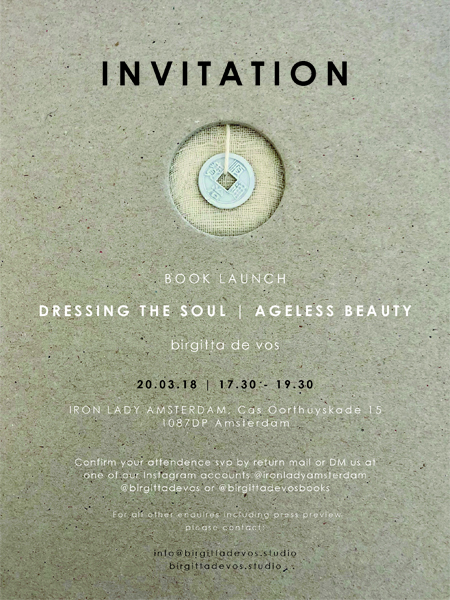 If you are interested to attend or for any other inquiries, also press previews, please send me an email.